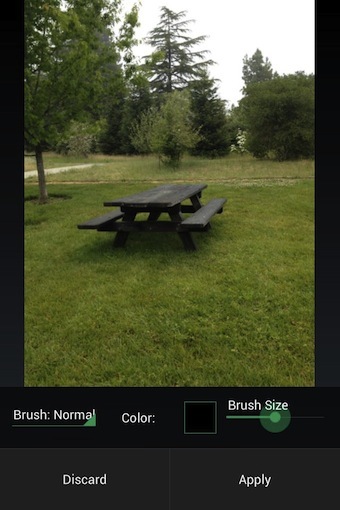 When I first saw PicShop iPhone Photo Editor claim to do ‘Tons of Editing”, I had to chuckle. I actually went on past the app, but then returned to take a look later. This must of course be a light weight filters application app… happy to report that it is much more. While the app offer a few common found filters, the actual more detailed tuning options are nice with their enhancement sliders and pickers. That is to say, you can customize your photos pretty quickly without getting into a full photo editor like Laminar. 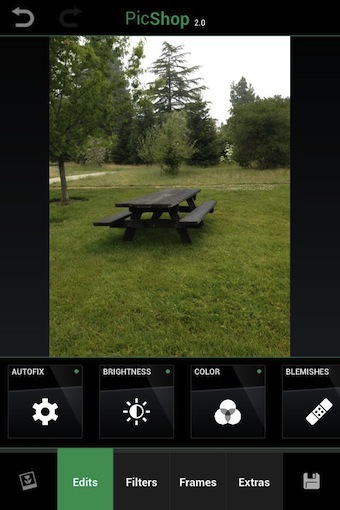 After importing a photo, the areas of turning are buttons across the bottom of the screen. Each will show it’s group of effects applied to the image in the thumbnail for quick reference. The Picshop 2.0 groups include: Edits, Filters, Frames and ‘Extras’. Like in the screen shot below for writing on the photo, PicShop offers sliders to fine tune each effect and enhancement. The changes are shown in real time then they can be applied or discarded. This allows for many different tuning effects to be used without saving and reloading an image. 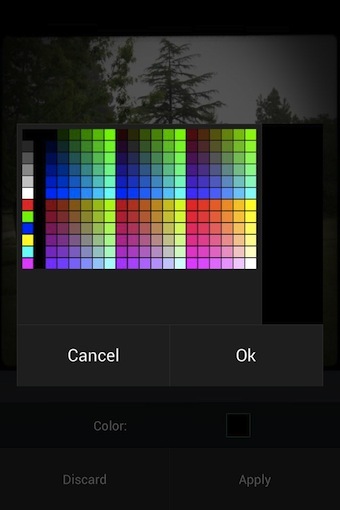 Color pickers are supplied by PicShop when the choices are needed. The variety of focus options is nice as a quick way to pull an object out or create depth. On the ‘cute’ side, there are stickers, writing, meme, and other photo customization options that are beyond the normal filters found elsewhere. Sharing with PicShop is through email, twitter or Facebook. Saving to the iPhone’s photo library in a variety of resolutions is also supported.